That struck me as funny, too. 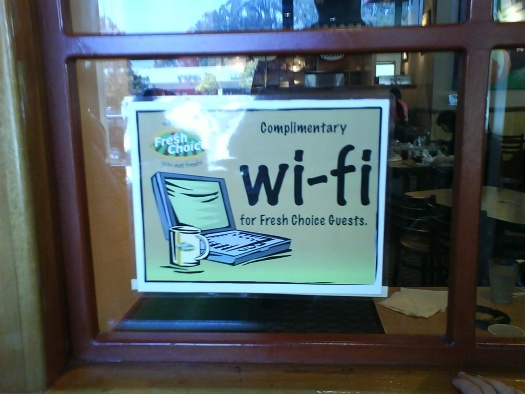 But I’ll be damned if I didn’t use the Fresh Choice Wi-Fi in Herndon, Va.
Fresh Choice world traveler! Awesome.